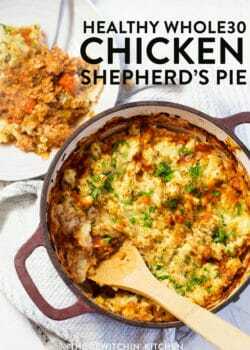 A comfort food classic with a healthy twist, this Whole30 Chicken Shepherd’s Pie with cauliflower mashed “potatoes” is a new staple in our family’s recipe book. I hope it will be in yours too. 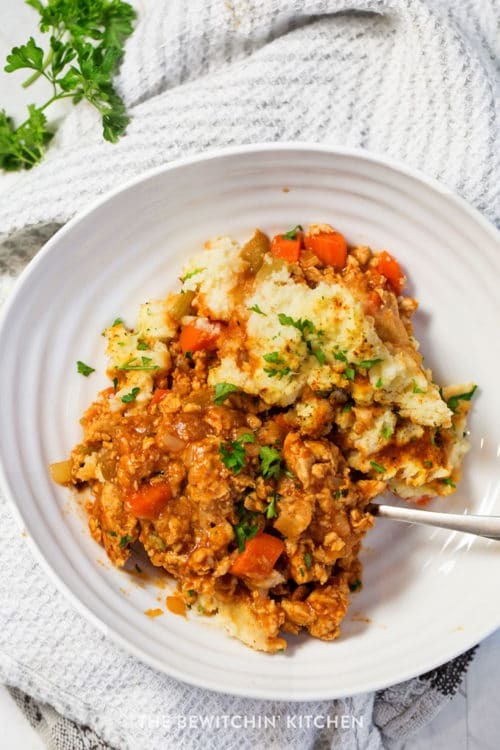 Whether you call it shepherd’s pie or cottage pie, this low carb dinner is one your whole family will love. Plus there is a fun added bonus that it’s such an easy dinner to throw together. Disclosure: I am participating in the Chicken Farmers of Canada campaign managed by SJ Consulting. I received compensation in exchange for my participation in this campaign. The opinions on this blog are my own. 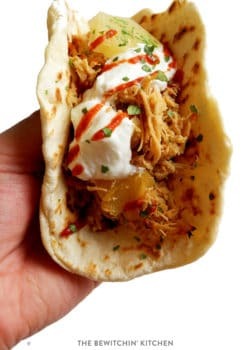 Search the recipe sections over at Chicken.ca to discover more healthy and time-saving recipes. 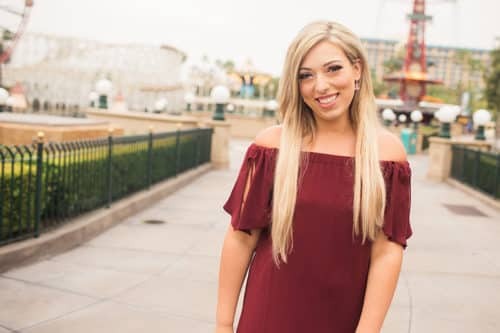 Follow them on the following social profiles: Facebook, Twitter, Instagram, and Pinterest. November is here and the snow has fallen here in British Columbia. During these chilly winter months, I have to say that there is nothing better than hearty comfort food. 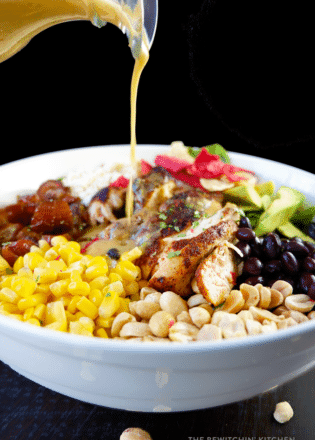 Comfort food recipes don’t always have to mean heavy and unhealthy. Actually, the majority of comfort food recipes have incredibly healthy ingredients: mostly whole foods and they’re full of vegetables (think chicken soup, mashed potatoes, lasagna, and shepherd’s pie). It’s simple to tweak a few ingredients to make it wholesome and healthy. 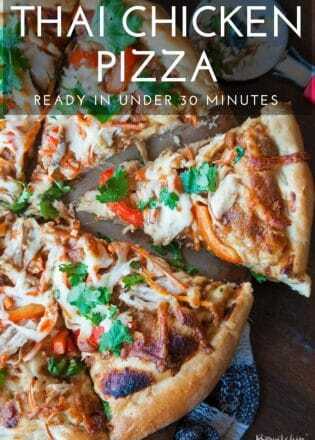 Healthy comfort food that are easy recipes for the win! The majority of Canadian’s are looking for an easy way to tell what chicken has been raised by Canadian farmers at the grocery store. How can you tell it’s been raised by a Canadian farmer? Look for the following logo. 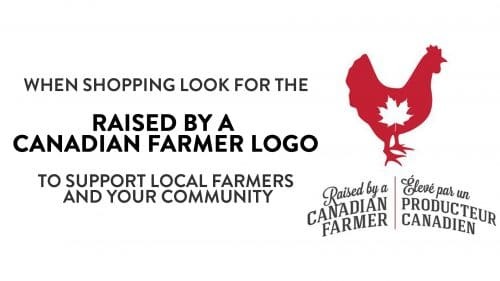 All chicken that has the above logo is grain-fed, free of added hormones and steroids (like all chicken in Canada), and raised right here in Canada according to nationally-set, high food safety and animal care standards. Shepherd’s Pie vs Cottage Pie. What’s The Difference? Shepherd’s Pie has lamb (think shepherds = sheep) and cottage pie uses ground beef, which is how I grew up with it. My family always called it Shepherd’s pie, even though it’s technically cottage pie, but does it really matter? 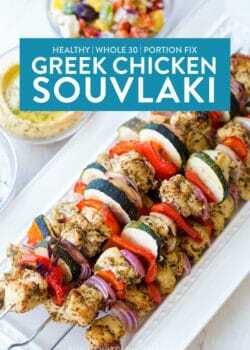 This recipe uses neither lamb or ground beef, it uses ground chicken. So I phrased my own term. Think it will catch on? Me neither, but it’s worth a shot. 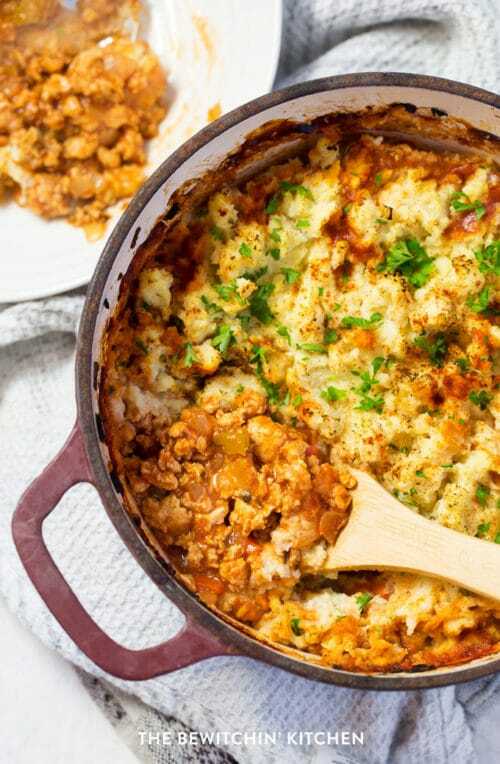 Shepherd’s Pie is pretty healthy as it is. It’s full of healthy vegetables. However, the traditional cream loaded potatoes throw it off, just a bit. 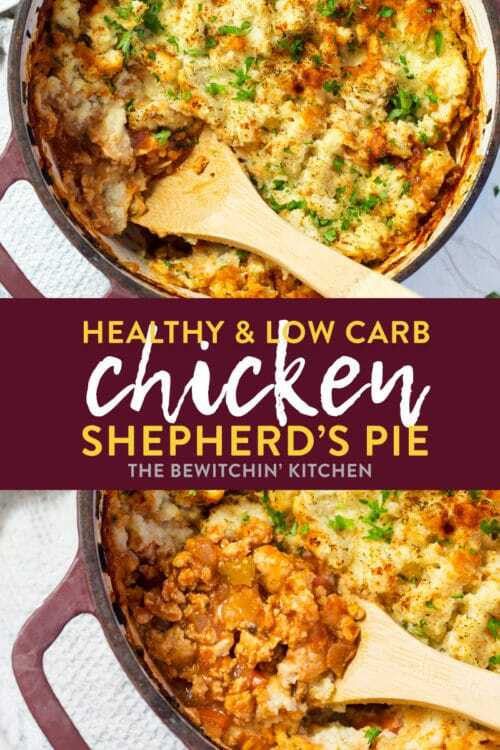 So I used a cauliflower mash with some ghee to make this comfort food classic into a low carb shepherd’s pie, perfect for those who are doing keto, Atkins, or even 21 Day Fix and other Beachbody Portion Fix programs. I used ground chicken to help lighten it up a bit. Swapping ground lamb or beef for chicken and potatoes for cauliflower changes the calorie and macronutritients astronomically. 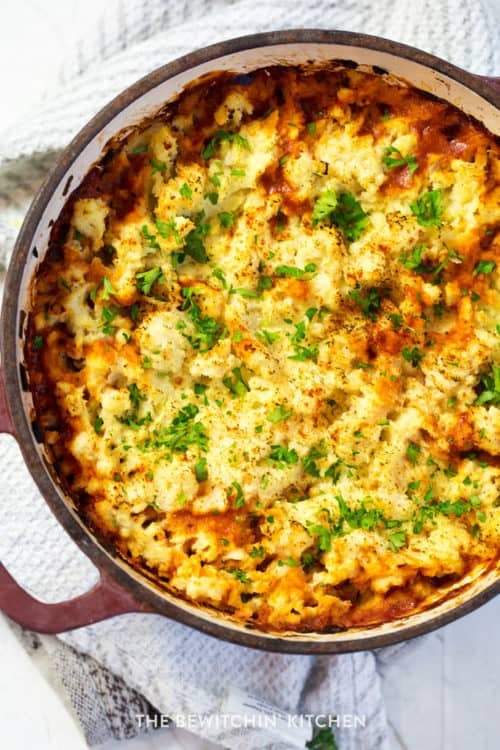 1/4 of this healthy shepherd’s pie recipe has only 337 calories! So eat to your heart’s content. You can find the full macronutrients and nutritional information at the bottom of the recipe card. 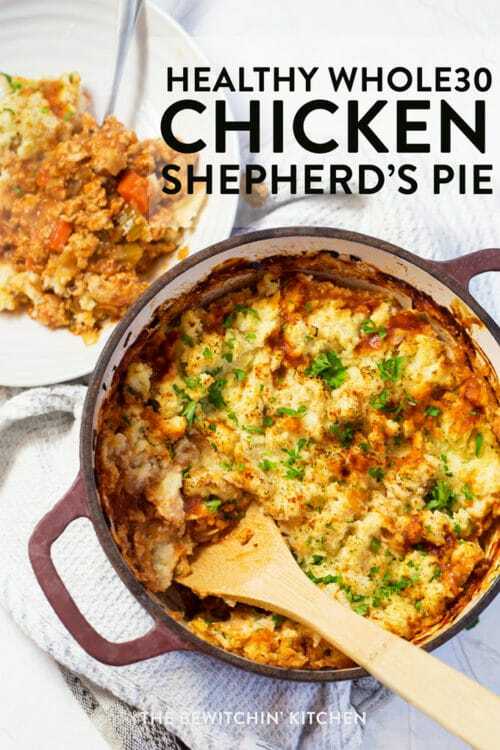 What vegetables go in shepherd’s pie (or cottage pie)? Do you see where I’m going with this? 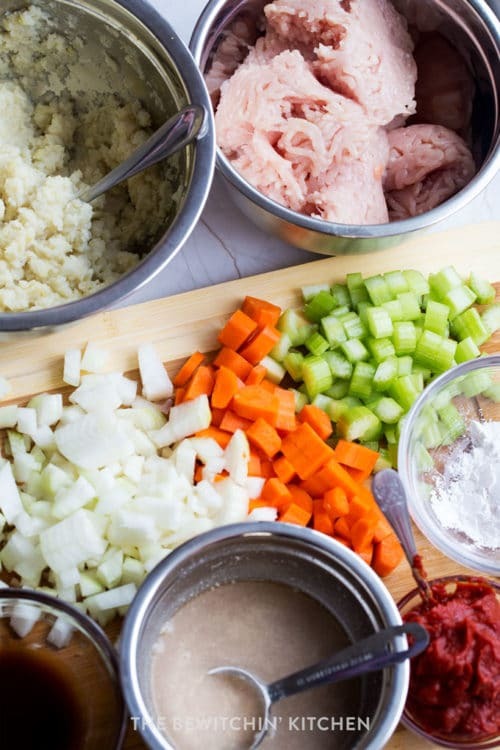 Add whatever you want and make your own version of a healthy shepherd’s pie. Having cauliflower mash or fauxtatoes was a risky move. My husband loves Shepherd’s Pie and his favorite part are the potatoes. So serving healthy shepherd’s pie with cauliflower made me wince a bit when he took his first bite. He loved them. 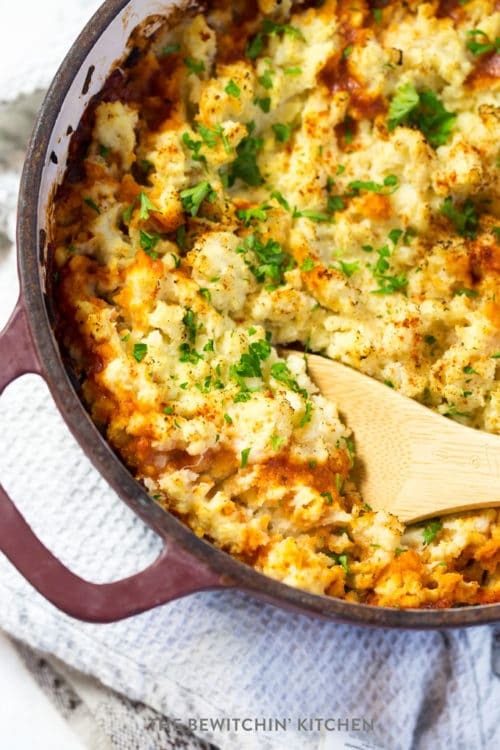 He said although he knew it was cauliflower it had a similar taste and consistency to potatoes and he thumbed this healthy comfort food recipe up to be man approved. 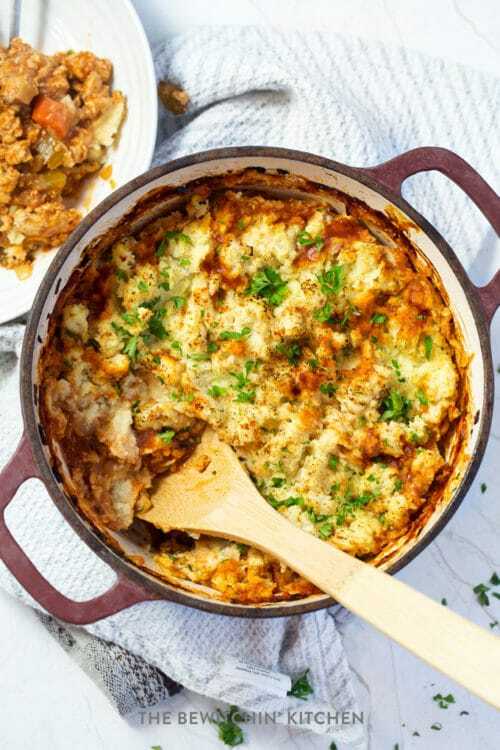 A tasty and low carb twist on a traditional Shepherd's Pie (or cottage pie). Bring the cauliflower florets to a boil in a large stockpot. 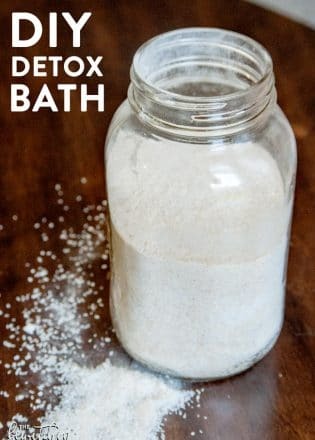 Boil for 10-12 minutes, or until cauliflower is soft. 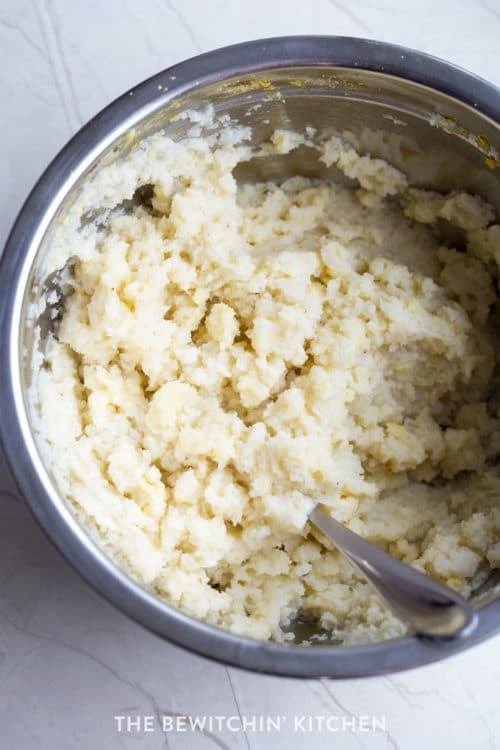 Puree the cauliflower with an immersion blender, or use a masher. Add ghee, nutritional yeast, salt, and pepper. Set aside. In a dutch oven (or large skillet) heat ghee over medium heat. Once hot, add the onions, carrots, and celery. Sautee until soft and onions are almost translucent (about 4-5 minutes). Add the ground chicken. Scramble fry until cooked (see note). Add the herbs, de provence, garlic, tomato paste, coconut aminos, and vinegar. Combine the beef broth and arrowroot powder together, add to the chicken mixture. 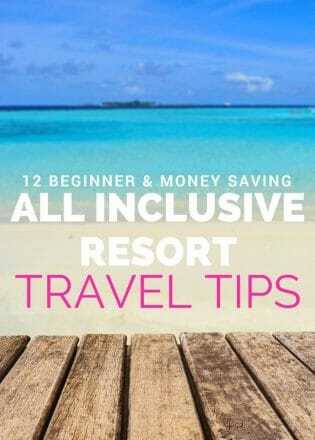 Once everything is stirred together, bring to a bubble and remove from heat. Add the cauliflower topping. Fluff up with a fork and sprinkle the paprika over top. Bake for 20 minutes, or until cauliflower is lightly golden. Sprinkle with parsley, serve. If you have a narrower ditch oven (like me). Put the lid on it, it will help the ground chicken cook quicker. 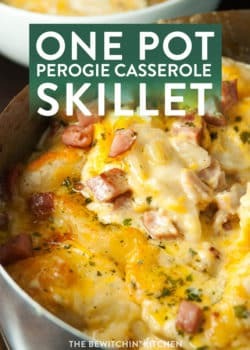 I made this recipe and loved it! But I have a question. When I logged the ingredients it came out to 772 calorie per serving. I did follow the recipe exactly. Could you help me figure out how you calculated only 337 calories per serving?